Smooth Cycle Tea provides mind/.body support for a smooth menstrual cycle. White Angelica, Hibiscus flower and Rose petals help balance hormonal flow. 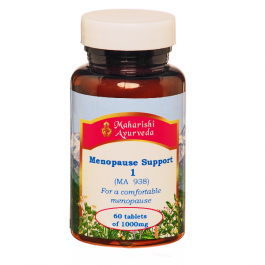 Lodha and Ashoka bark support the overall balance and interactions of female hormones. 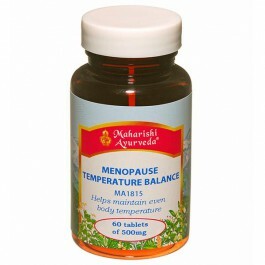 Hibiscus flower, Indian Sarsaparilla and Winter Cherry maintain resistance to stress and balance mind and emotions. These herbs are supported by liquorice, peppermint, spearmint and cinnamon to make a balanced and tasty tea. A pleasant mint-flavoured tea formulated to help balance female hormones and physiology, Smooth Cycle Tea helps support a comfortable menstrual cycle. 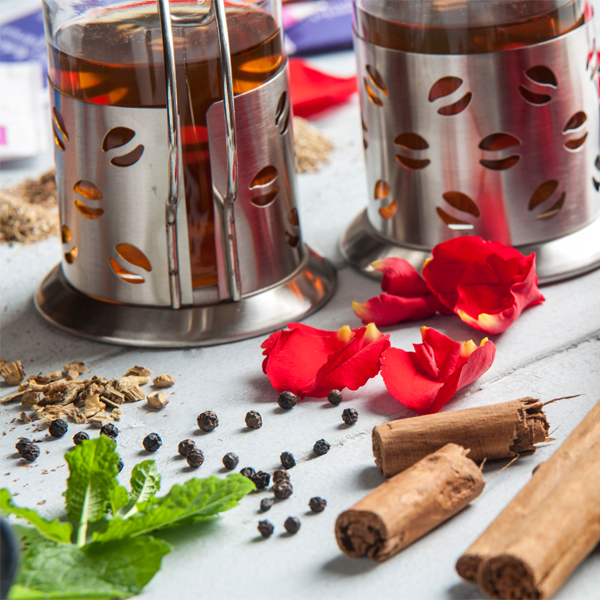 Spice Wise Spices are ingredients in many synergistic Ayurvedic herbal formulations, and an Ayurvedic expert, when giving you advice, is as likely to recommend specific spices to include in your diet as to suggest herbal supplements for you to take. White angelica, Shoe Flower (Hibiscus) and Rose Petals support female hormonal flow and balance. Liquorice contributes the sweet taste, useful for pacifying Pitta. 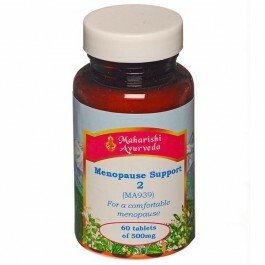 Hibiscus Flower, Indian Sarsaparilla and Ashwagandha aid resistance to stress and help balance the mind and emotions. Smooth Cycle Tea acts as a support for Women's Rasayana food supplement to provide mind/body support for a smooth menstrual cycle. Angelica glauca, Hibiscus flower and Rose petals support hormonal flow and balance. Lodh and Ashoka tree barks support overall balance and interaction among female hormones. Hibiscus flower, Indian sarsaparilla and Winter Cherry aid resistance to stress and help balance the mind and emotions. With the delicious natural flavours of liquorice, cinnamon, peppermint , spearmint. Infuse the teabag for 5-7 minutes in boiled water. One bag makes on cup of tea. Add milk and sugar to taste. Take 2-3 cups of tea daily.